Food Blogging Workshop Part 2 aka How do you make Boneless Crispy Pata? Read the first part of this entry here. After the blindfolded taste test and subsequent reveal, would you believe what our next activity was? LUNCH! My stomach was complaining, “No more, no more!” While the servings they laid out during the blind taste testing were relatively small, at 8 courses, it wasn’t surprising that I felt extremely full already. Still, who can resist the lunch spread the Serye folk laid out? Over lunch, we ate, drank, and got to know each other. Chris, Apples and JB pored over the Boneless Crispy pata, theorizing about how it was made. Betty regaled us with tales of heavy traffic as she drove North. Christine commented on how nice Lennie was when doing reviews, since her definition of “minor issues” was far from minor! I tried to convince Jen to switch to the WordPress side because wordpress is love. After the meal came the photography part. Markku opted to handle the session in a relaxed manner, turning the afternoon into an informative yet fun session. Jayvee shared valuable insights as well, not only with photography but with some styling ideas as well. Tips and suggestions were shared, all while we were busily composing, framing, and clicking. Safety shots feature the food in entirety. It’s referred to as safety because it’s the failsafe shot you can fall back on. Here’s my safety shot of their Pork Barbecue served with Java rice, special dipping sauce and atchara, a pickled papaya side. If we’re talking non-photography though, I doubt this dish would be safe for more than a few minutes. 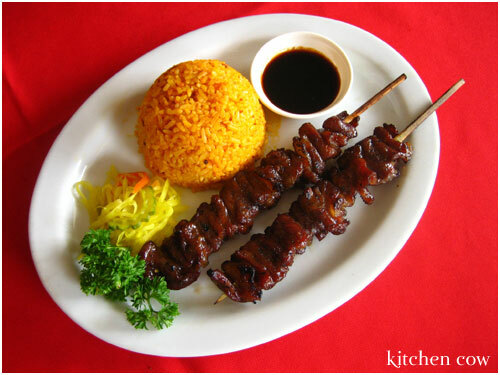 With the delicious aroma and appetizing look, any meat lover will surely demolish it at once! Being a fan of tight, detailed shots though, I prefer this one. Doesn’t the pork look extremely succulent? 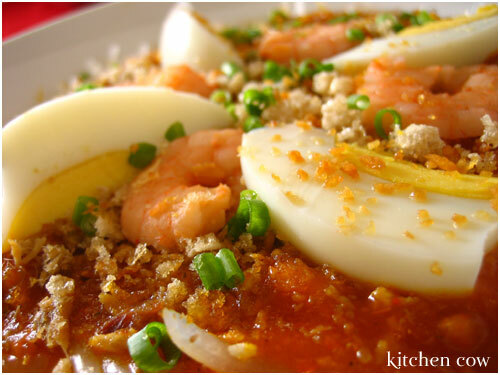 My favorite Filipino noodle dish, Pancit Palabok. I’m not a big fan of Filipino Pancits (noodles) but I make an exception for this. Glass noodles topped with a flavorful shrimp-based sauce, topped with hardboiled egg slices, shrimps, chicharon bits (crispy pork rind bits) and chopped spring onions. MiÃ±a, one of Serye’s owners succintly replied, “Oh, we get a special breed of boneless pig. They’re naturally like that.” That didn’t deter us from continuing to ask while theorizing though. They had one of those coffee things! Remember how much I loved it when I saw it used for UCC’s Sumiyaki? Well, they have it too! And I was able to photograph it. Yay! 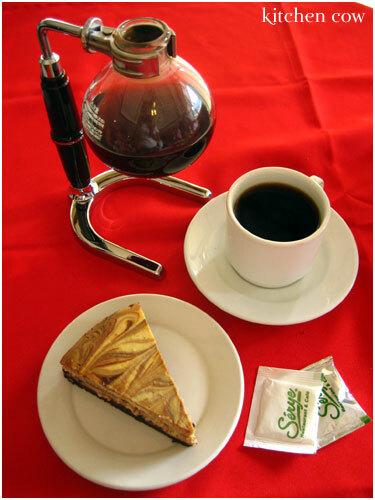 The cheesecake shown above is made with tablea, a native tsokolate tablet used for making Spanish-style hot chocolate. It’s not as sweet as normal chocolate, adding just a hint of chocolatey sweetness that didn’t overpower the cheesecake. Can you guess what we did after taking photos? YES! Eat again! Hehehe, if workshops are always like this, sign me up for the next one! This entry was posted in culinary events, restos & eateries, sponsored events and features. Bookmark the permalink. 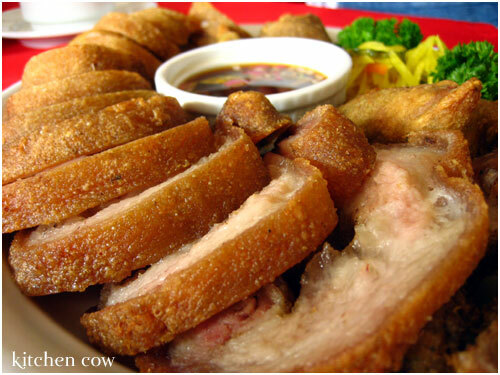 22 Responses to Food Blogging Workshop Part 2 aka How do you make Boneless Crispy Pata? Aaaah sounds like a whole lot of fun! I’m completely envious. It was so far though, and I couldn’t give up one of my precious weekends. Grabe ang sarap nung cripsy pata sa picture! Great pics! What camera did you use to take those pics? Sayang, it really was a lot of fun. I get what you mean about weekends, but this was such a good fit for kitchen cow that I had to go. So pano ba talaga gumawa nung boneless crispy pata??? Hehehe. 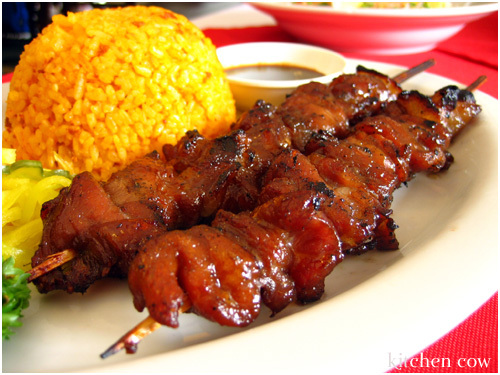 Oh man, your blog really gets me all hungry and craving for Pinoy food. The boneless crispy pata has got to be one of the most epic things I’ve seen here. Sadly, I’m getting a bit old for such rich food. I agree. The boneless crispy pata is the stuff cholesterolific dreams are made of. It’s something you won’t mind dying for. Maybe you can have some once every few months? After a few days of eating nothing but greens, hehe. Sarap talaga! Want to drag the girls and binge at Serye sometime? I’d love to have some of their Serye Express again but I doubt that John would like it, since he hates eggplant. homaygass, mukhang ang sarap nung crispy pata. sawsawan pa lang, panalo na. Oh I make boneless cripy pata too but never looked as good as that in your photos! Wowowee! Yummy talaga ha! Grabe iska! I’d understand people in restos doing that but for a cook who’s just doing it for a meal at home–I admire your perseverance! Now that’s a labor of love. how to make nga ba the pata boneless..
Hi yje! Check out JB’s comment above. He describes it in detail. 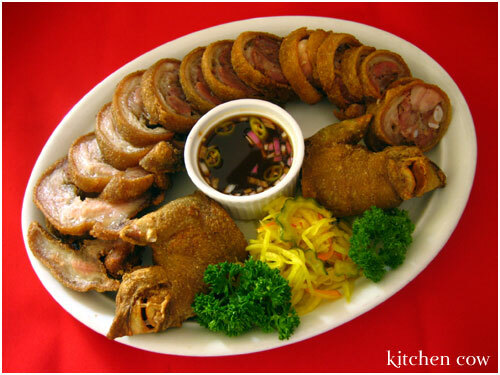 If you’d like to try it yourself, here’s iska’s version of boneless crispy pata. It looks absolutely yummy.